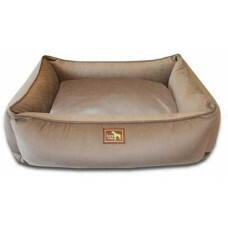 Your dog will fall in love with this wonderful bed! PetHangout is so pumped to offer the Coco Lounge - Coco Cover from our Premium Bedding Collection. The inner and outer pillows match with a pretty "coco" color. All covers are washable so this bed will stay like new! Inner liner keeps wetness and "dog smells" far, far away. You will love this Cool Pick! Small 26" x 20" x 8"
Medium 34" x 26" x 10"
Large 44" x 34" x 12"
PetHangout has other gorgeous dog beds like a Twill bolster bed, a Sherpa pouf bed, and a Coco lounge with blooms.